Before the advent of smartphones, Nokia were known to be the company that manufactured the best feature phones. 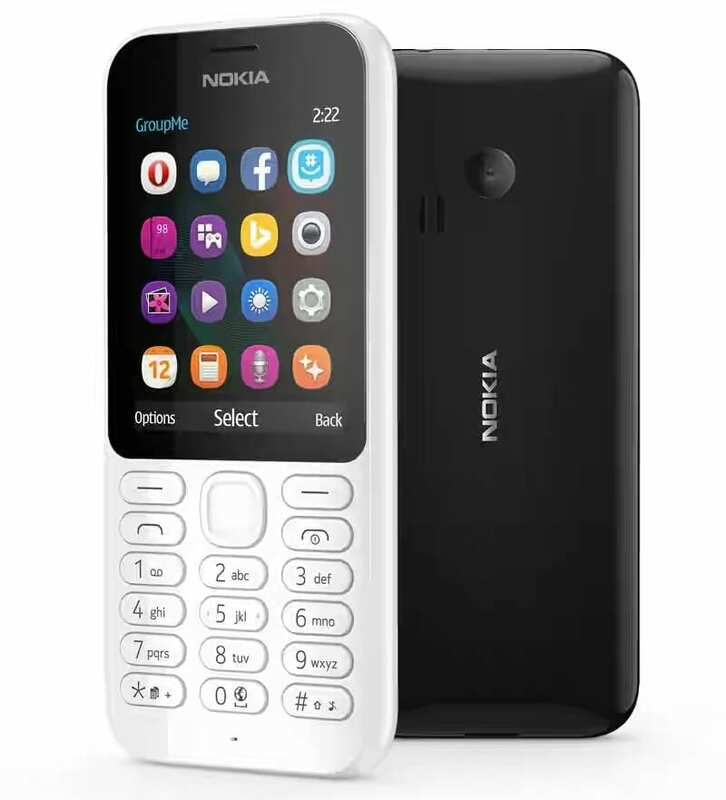 And now, during the smartphone era, Nokia is still churning out great and beautiful feature phones; better than what we have seen and handled in the past. And albeit the Nokia 222 was launched 2015, it’s still some users favorite feature phone. It is also worth recalling that Nokia even went on to relaunch the iconic Nokia 3310 (one of their oldest feature phone) some months ago in a bid to relive its memories in the heart of the phone loyalists (and probably to make more money). Now one question – will Nokia keep their crown as the Feature phone king in the future? I will leave you guys to answer that while I review the Nokia 222 in subsequent paragraphs. The Nokia 222 has a beautiful aesthetic. The front and rear of this basic phone has a glossy and shiny appearance. The entire outside or surface parts of the Nokia 222 is made of plastic; even the keypad. One particular importance I find advantageous about the plastic keypad is that it is resistant to water, heat and the alphabets and numerics embedded on the keypad will not peel off. The screen of the Nokia 222 is a 2.4-inch display with a big bezel and screen-to-body ratio (30.8%) and likewise, a 240 x 320 pixels resolution (167 ppi pixel density). The device, despite its big body and battery is super light and definitely not a burden to the hands or pocket. The Nokia 222 weighs 79grams and is also quite slim at 12.9mm. Having a camera is one of the attracting feature of the Nokia 222. This feature phone doesn’t just have a mediocre camera but a nice 2.0-megapixels camera (way better than the 0.3MP found on the Samsung Metro B313E). The camera snaps pictures as well as records videos at 240pixels quality. On board, there is a small 16MB storage space. This can however be expanded to 32GB using the micro SD card slot. Don’t you find this interesting? A basic phone of this calibre having a 32GB storage. Right from time immemorial, Nokia basic phones have been renowned to be beasts in the battery compartment. The Nokia 222 is no black sheep either. It has a removable 1,100mAh Li-ion battery. The battery has a monster talk-time duration of 20-hours and a standby time of 696-hours. Nokia’s efficient battery optimization game is top-notch.